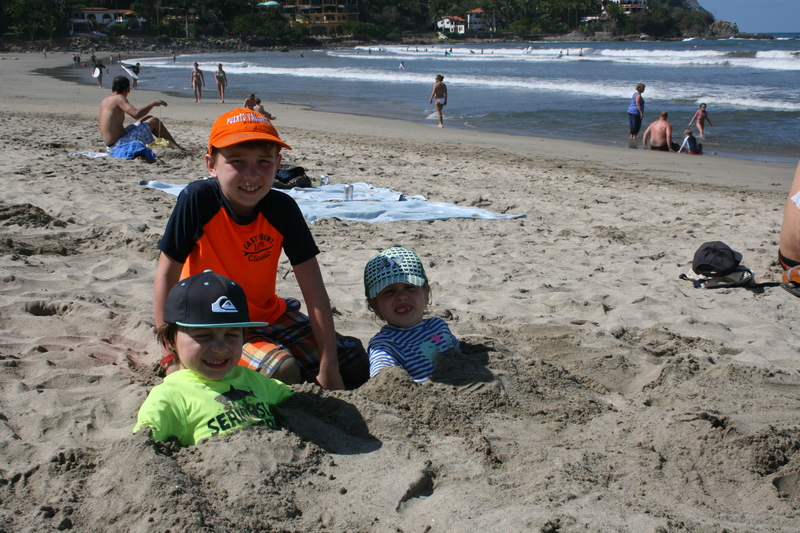 We first took a day trip to Sayulita in 2009 and we fell in love with this sleepy little surfer town, but when we went back in 2015 we realized it is quickly changing. Sayulita is a town away from all the typical resorts communities of Puerto Vallarta and Nuevo Vallarta, which lets you see another side of Mexico. A funky little surfer town that should be checked out sooner rather than later! For our first day trip we took a 45 minute local bus ride (about 25 miles) from Nuevo Vallarta through the curvy highways. The bus drops you off at the edge of town and you wander in and follow the people walking with surfboard and beach towels to find the beach. As we approach the beach we were surprised by this little slice of paradise hidden away from mainstream tourist. The water has rolling waves that looked just big enough to make you feel like you actual might have a chance to learn how to surf without being terrified by the waves. We instantly dropped our stuff on the beach and went looking for someone to teach us how to surf and a rental shop. At the time, there were only a couple rental shops on the beach so the selection wasn’t great but it was easy! At the time I was only about 6 weeks pregnant (barely pregnant with Luca), but being cautious the owner paired me up with an instructor that was so helpful I hardly did any work! Jamie, as always, picked it up surfing like he had been doing it for years. We had an awesome time trying something new! The rest of the day we spent relaxing on the beach with a cerveza, walking through the town and finding a local taco food stand. 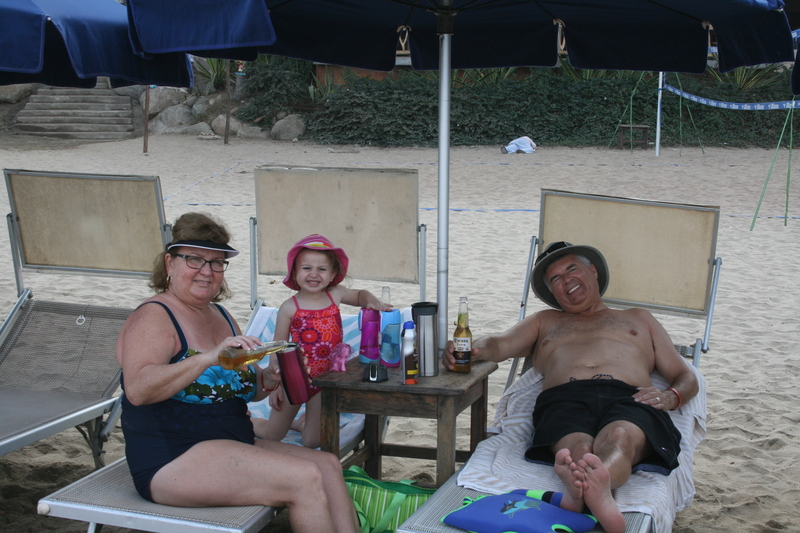 We could have rented chairs on the beach if we wanted too, but we liked the towel and sand vibe instead. We loved it so much, that we went back in 2015 with our kids and other family members. This time since there was 10 of us we hired a driver with an air-conditioned van to take us there for the day. I think it was about $100 USD. 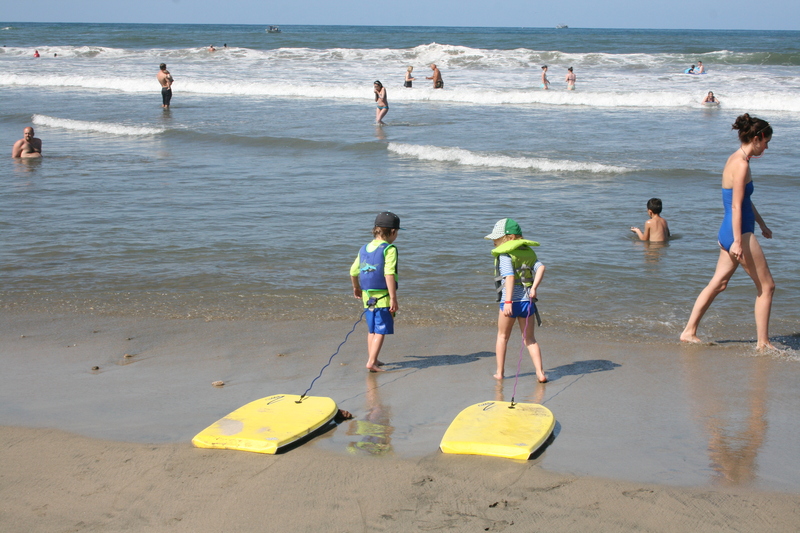 We essentially had the same lazy day on the beach and relaxing but this time we tried out the boogie board rentals ($20 USD each for the day) and had so much fun playing in the water with our kids. Luca was 5 and Sofia was almost 3 and we couldn’t get them out of the water! 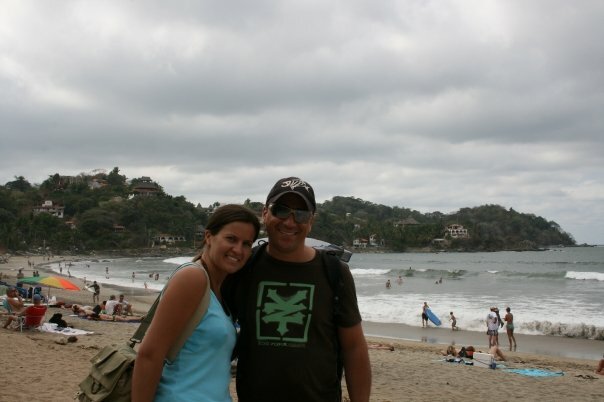 Out of our entire trip to Mexico that year, our day trip to Sayulita was by far the best day. 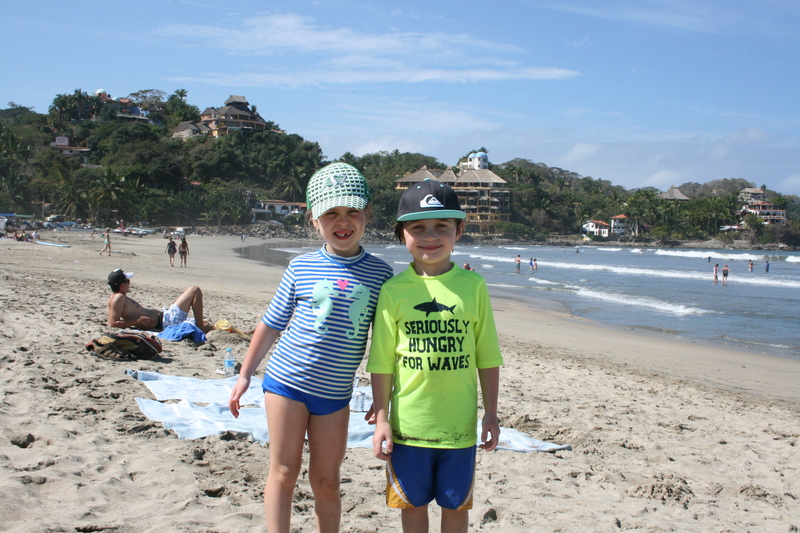 So why the sense of urgency to go visit Sayulita, Mexico? Well, because it is quickly becoming busier and changing its sleepy little surfer town appeal. In 2015 we noticed way more people (local and tourist), restaurants, hotels, rental shops and stores. Options could be looked at as a positive thing, but it also starts to lose the essence of why this little surfer town is so special. I love the hippie vibe and I hope this town never looses it. Would I go back? Hell yes! 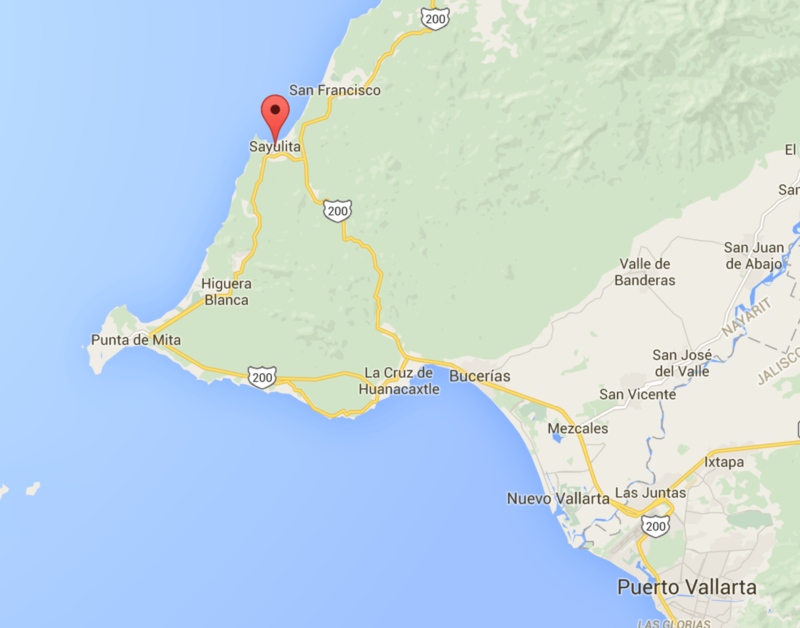 It is such a great day trip for anyone visiting the Puerto Vallarta or Nuevo Vallarta area. I think if we go back to the area we may even consider staying there longer. It’s definitively manageable and worth it for one day. Bring your younger kids life jackets with you. If you are taking the bus, be sure to arrive at the Sayulita bus stop early since they always don’t run on schedule and you don’t want to miss the last bus from Sayulita. Bring your own beach towel for the day. You can pack some snacks and drinks, but they now have local shops you can buy most things if you forgot something. Bring a change of clothes. There were no changing areas but we just changed after our beach day in the restaurant that we were eating at. You can use their bathrooms if you buy something! This way you and the kids are driving back in wet clothes. 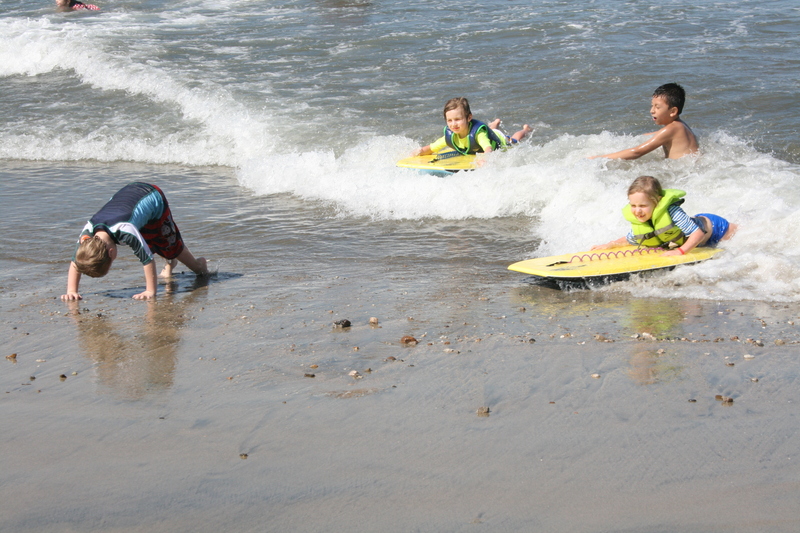 Have a close eye and be within arms reach of your kids in the water, the riptide will take them farther than you expect and there are a few dips in the shoreline that you need to be aware of. 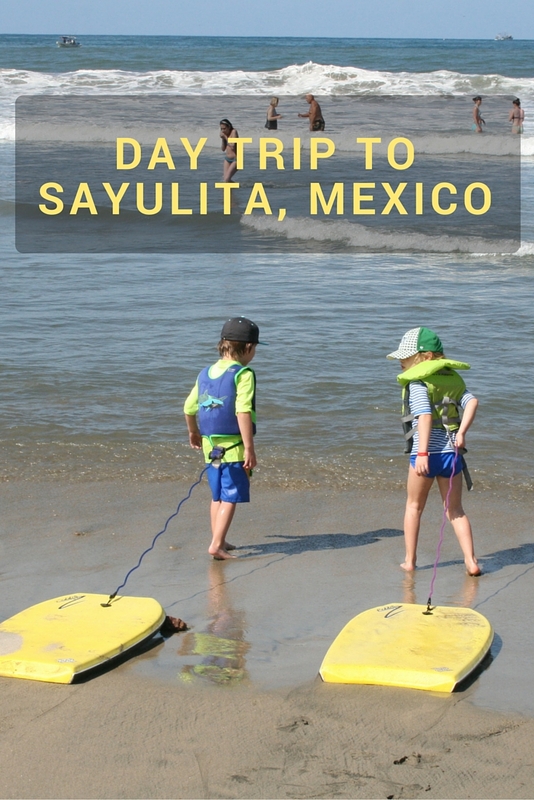 Find out more details about Sayulita here. 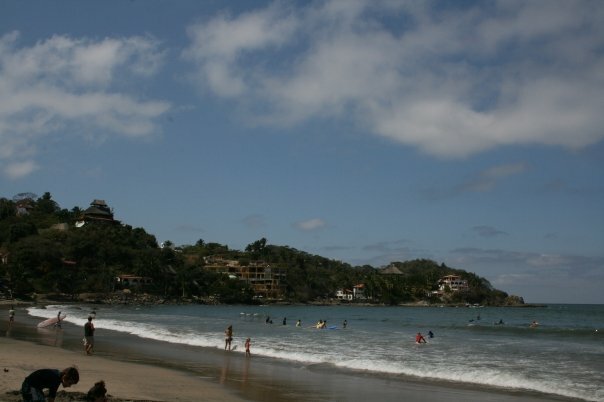 Have you ever been to Sayulita? Do you have a favourite surfer town that we should check out? Things don’t stay the same for long. Sadly. At least there’s more great restaurants when a destination gets more touristy. It has some pros along with the increase in tourist, but it is still a fantastic destination to check out… Regardless of the amount of people visiting.